In his message to the Jewish End time’s community, represented by Philadelphia – Yeshua made himself known as the antitypical Eliakim who then, however, as the Ebed YHWH will delegate that position to the Jewish Remnant. Ah, the uproar המון of many peoples, who roar יהמיון like the roaring of the seas; and the rushing of nations, that rush like the rushing of mighty waters! The nations will rush like the rushing of many waters: but he will rebuke them, and they will flee far off, and will be chased like the chaff of the mountains before the wind, and like the whirling dust before the storm. At evening, behold, terror! Before the morning, they are no more. This is the portion of those who plunder us, and the lot (Str 1486) of those who rob (Str 962) us. And I [John] saw [in visions] out of the mouth of the Dragon and out of the mouth of the Beast and out of the mouth of the False prophet three unclean spirits like frogs. For they are spirits of demons, performing signs, which go out to the kings of the entire inhabited earth, to gather them together to the battle of the Great Day of God the Almighty. How goodly are your tents, O Jacob, your dwellings, O Israel! As valleys are they spread out; as gardens by a river-side; as lign-aloes, which planted YHWH; as cedars besides the waters. Water shall flow out of his buckets, and his seed shall be in many waters; Yes, his king shall be higher than Agag, and his kingdom shall be exalted. ‘Mordecai’ distinguishes that in Divine Providence the power of development is only temporary. Going from Elohim's vision of unparalleled wisdom, it was necessary for man to gain the experience that he cannot properly direct his own way. Without Elohim's guidance, he gets jammed completely. Sooner or later therefore, he must learn, often through 'trial and error', the way that leads back to YHWH Elohim's. And also that the return to the origin had already its start with the appearance of the Messiah in the First century. When the virgins were gathered together the second time, then Mordecai was sitting in the king’s gate. Esther had not yet made known her relatives nor her people; as Mordecai had charged her: for Esther did the commandment of Mordecai, like as when she was brought up with him. 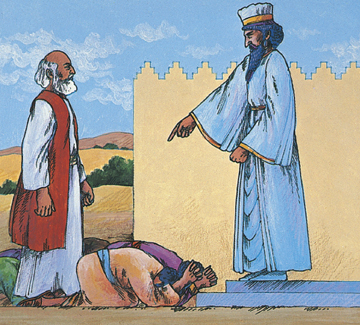 In those days, while Mordecai was sitting in the king’s gate, two of the king’s chamberlains, Bigthan and Teresh, of those who kept the threshold, were angry, and sought to lay hands on the king Ahasuerus. 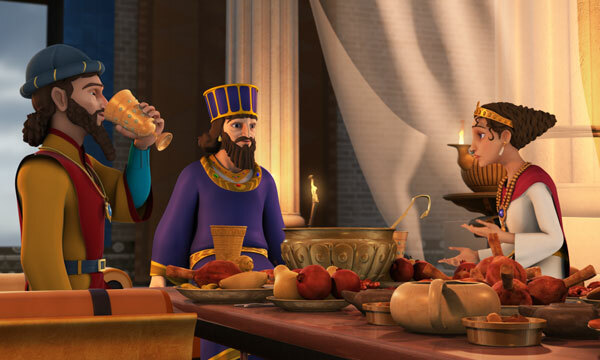 The thing became known to Mordecai, who shown it to Esther the queen; and Esther told the king of it in Mordecai’s name. When inquisition was made of the matter, and it was found to be so, they were both hanged on a tree: and it was written in the book of the chronicles before the king. The king said, “Who is in the court?” Now Haman was come into the outward court of the king’s house, to speak to the king to hang Mordecai on the gallows that he had prepared for him. The king’s servants said to him, Behold, Haman stands in the court. The king said, Let him come in. So Haman came in. The king said to him, What shall be done to the man whom the king delights to honor? Now Haman said in his heart, To whom would the king delight to do honor more than to myself? Haman said to the king, For the man whom the king delights to honor, let royal clothing be brought which the king uses to wear, and the horse that the king rides on, and on the head of which a crown royal is set: and let the clothing and the horse be delivered to the hand of one of the king’s most noble princes, that they may array the man therewith whom the king delights to honor, and cause him to ride on horseback through the street of the city, and proclaim before him, Thus shall it be done to the man whom the king delights to honor. Then the king said to Haman, Make haste, and take the clothing and the horse, as you have said, and do even so to Mordecai the Jew, who sits at the king’s gate: let nothing fail of all that you have spoken. Then took Haman the clothing and the horse, and arrayed Mordecai, and caused him to ride through the street of the city, and proclaimed before him, Thus shall it be done to the man whom the king delights to honor. 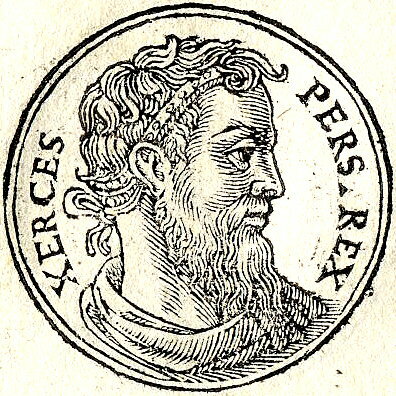 Mordecai came again to the king’s gate. But Haman hurried to his house, mourning and having his head covered. What people could do is trying to take away YHWH’s glory kind by means of a form of idolatry. The inspired Paul wrote what humanity has done through the ages: Professing themselves to be wise, they became fools, and traded the glory of the incorruptible God for the likeness of an image of corruptible man, and of birds, and four-footed animals, and creeping things. (Ro 1:22-23). So it happened, when the king’s commandment and his decree was heard, and when many maidens were gathered together to Shushan the palace, to the custody of Hegai, that Esther was taken into the king’s house, to the custody of Hegai, keeper of the women. 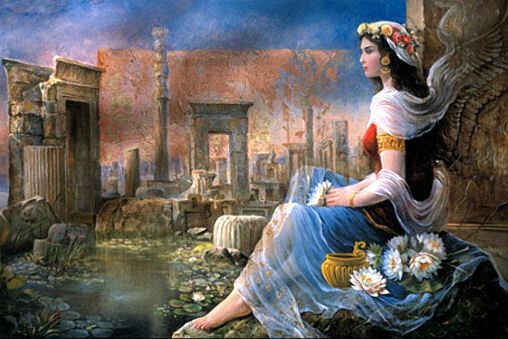 The maiden pleased him, and she obtained kindness of him; and he speedily gave her things for her purification, with her portions, and the seven maidens who were meet to be given her out of the king’s house: and he removed her and her maidens to the best place of the house of the women (Es 2:8-9). Then called Esther for Hathach, one of the king’s chamberlains, whom he had appointed to attend on her, and charged him to go to Mordecai, to know what this was, and why it was. So Hathach went forth to Mordecai to the broad place of the city, which was before the king’s gate. Mordecai told him of all that had happened to him, and the exact sum of the money that Haman had promised to pay to the king’s treasuries for the Jews, to destroy them. Also he gave him the copy of the writing of the decree that was given out in Shushan to destroy them, to show it to Esther, and to declare it to her, and to charge her that she should go in to the king, to make supplication to him, and to make request before him, for her people. Hathach came and told Esther the words of Mordecai.Then Esther spoke to Hathach, and gave him a message to Mordecai (Es 4:5-10). In Spoke 4 of the Bible Wheel, viz the Books (4) Numbers (26) Ezekiel, and (48) Galatians, the fourth letter Dalet (ד) is prominent in the word door (דלת) which also has 434 as NV. The exercise of the priesthood by the 24 Elders is in Ezekiel 46:20 also linked with the NV 434, in the expression to sanctify (the people) qua idea corresponding to Ez 44:19, catching a glimpse of the future, heavenly priesthood, the verse having the meaningful NV 2595. Compare Daniel 12:11-13 and count up the two numbers 1260 + 1335.